Save on German at From Healthy Food to Healthy Life. Top brands include Johnsonville, & Pork King. Hurry! Limited time offers. Offers valid only while supplies last. 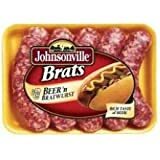 Johnsonville 4:1 Precooked Beer Bratwurst, 5 Pound - 2 per case. 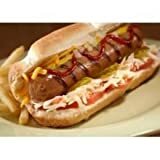 Johnsonville Spicy German Sausage Bratwurst, 80 Ounce - 2 per case.